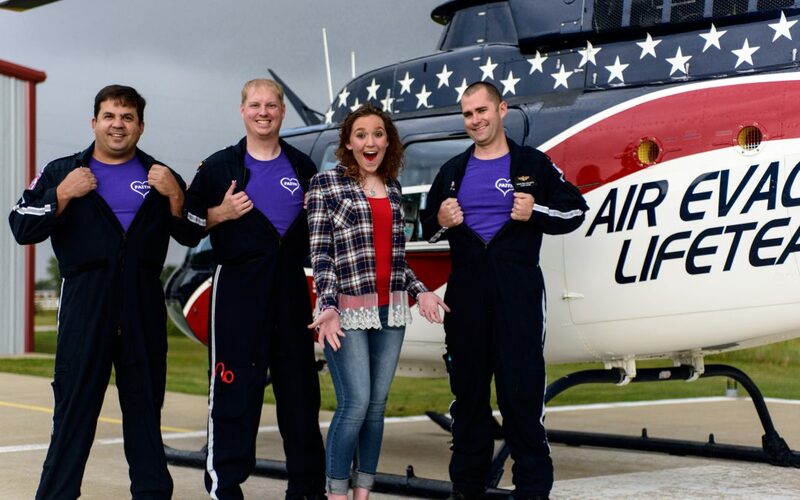 Air Evac Lifeteam strives to be the best part of a person’s worst day. Faith Klinglesmith’s worst day was October 14, 2015. While driving to school in Hardinsburg, Ky., the high school senior swerved to miss a deer, overcorrected and flipped her car. Her mother, Sarah Troxle, said when EMS arrived, Faith was face down in the dirt having a seizure. The Air Evac crew from Breckinridge County, Ky., was just coming on shift when the call came in. Pilot Antonio Fernandez, flight paramedic Michael Sharpe, and flight nurse Roger Cecil took the call and made the four-minute flight to the scene. Early activation saves lives, because it saves precious minutes, giving a patient the best possible chance at a positive outcome. Patients who live an hour or more away from a Level 1 or 2 trauma center are twice as likely to die from a traumatic injury because they cannot get to definitive health care within the Golden Hour. That is why Air Evac Lifeteam places helicopters and crews outside major metropolitan areas, putting them where they are most needed. Michael said he knew within seconds that Faith needed to get to a higher level of care quickly. They loaded Faith into the helicopter and made the 25-minute flight to Louisville. Flight nurse Roger Cecil recalled seeing Faith’s dad, Robert Klinglesmith, when the helicopter landed at the University of Louisville Hospital. Faith spent four weeks in the ICU, and suffered a traumatic brain injury, two compression fractures in her back and a small pneumothorax in her left lung. She spent another six weeks at Frazier Rehab. She walked out of the rehab center just a few days before Christmas and graduated from high school on time with her classmates.